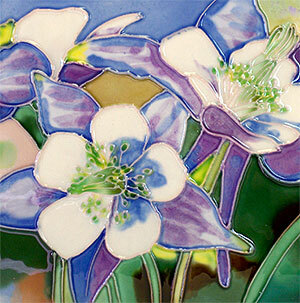 Beautiful High Gloss Raised-Relief, Hand-Painted Columbine Tile. Each Tile has a cork back and hanger. Great as a coaster or wall hanging. These tiles look great in a kitchen, bath, or even a child's room. Great Gift Item! Crackled glaze appearance is a normal characteristic of this art form. It adds to the look of the tile but does not affect the tile's integrity. When you buy from Cape Cod Treasure Chest, you are guaranteed a quality product, personal service, reliable delivery and as always a great value. Order today or call us toll free for more information. (888) 381-5300. 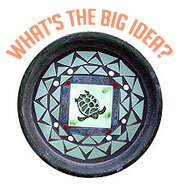 Answer: Get Inspired by Our Customers' Projects and Our How-To's for Big and Little Projects of Your Own!